Sikeston has two large Industrial Parks, and several smaller sites with numerous building options. The city serviced by the Sikeston Board of Municipal Utilities, and has one of the lowest electric rates in the state of Missouri. Numerous workforce training programs are available from Three Rivers College and Southeast Missouri State University-Sikeston Campus. The Sikeston Municipal Airport, which has a 5,502 ft. runway, is located nearby and the Cape Girardeau Regional Airport is located 30 miles north of Sikeston. SEMO Port is located just 20 miles from Sikeston. 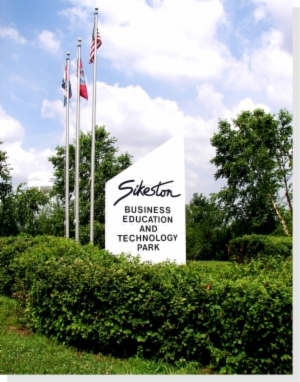 The Sikeston Business, Education & Technology Park is a fully developed with ample infrastructure, the City owned park has 600+ affordably priced acres to satisfy your development needs. The Burlington Northern-Santa Fe main line rail provides service to the park. The Southeast Missouri State University - Sikeston Campus is conveniently located within the park to assist with your company's job training requirements. Protective covenants ensure that the park will continue to be characterized as the prime industrial location between St. Louis and Memphis. 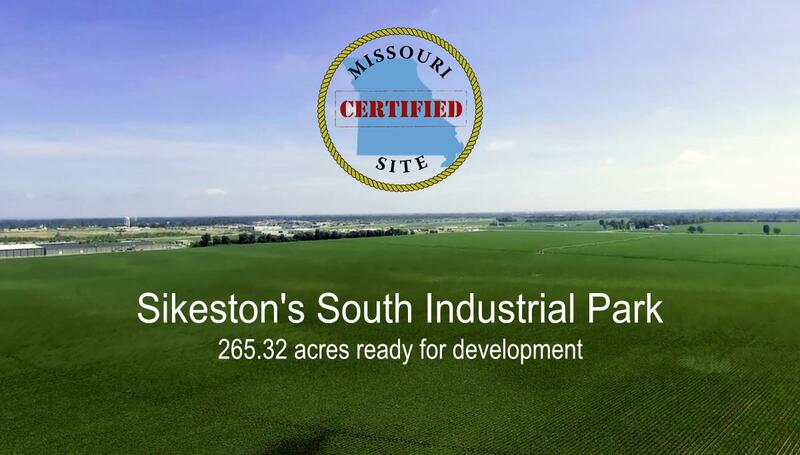 The new Sikeston South Industrial Park is a 265.32 acre park that features flat, cleared land that is ready for development. It is a Missouri Certified Site, and it is also in the Opportunity Zone. The Three Rivers College campus is located near the site and can provide technical training for industry. Interstates 55 and 57 are within 3 miles from the site, and US 60/Future I-57 is within .25 miles. This site will be an ideal location for manufacturing or logistics center. Sikeston offers numerous amenities including 2 new hotels, 8-plex theatre complex, shopping and retail centers, and quality restaurants. Sikeston Public Schools has a 95% graduation rate. We have a locally owned community hospital, and there are 2 major medical centers/hospitals located in the city. Sikeston Regional Chamber & Area Economic Development Corp.
Click here for more building and industrial site information. The site is serviced by the city owned Sikeston Board of Municipal Utilities and has one of the lowest electric rates in the state. Contact the Sikeston Regional Chamber & Area Economic Development Corp. (573) 471-2498 for more information or click here for more property information.